Ferdinand Marcos: The World's Most Brilliant President in History? Bwahaha! 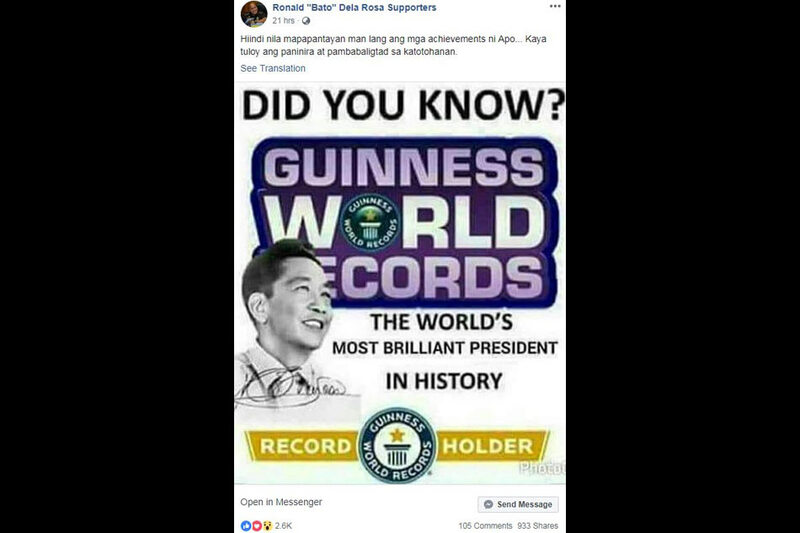 FACT CHECK: No, Ferdinand Marcos does not hold Guinness World Record for being the "World's Most Brilliant President in History"
A Facebook post claims late Philippine dictator Ferdinand Marcos holds a Guinness World Record for being the 'Most Brilliant President in History'. Guinness World Records has given him no such accolade, although it does list him for committing the 'Greatest robbery of a Government'. Re: Ferdinand Marcos: The World's Most Brilliant President in History? Bwahaha! The post claims that Marcos, who led the Philippines for two decades until he was toppled in a 1986 “People Power” revolution, holds the Guinness World Record for being the “Most Brilliant President in History”. The text in the post, when translated to English, says: “They cannot even match Apo’s achievements… that’s why they assail him continuously as well as distort the truth”. “Apo” is a term of respect used by some in the Philippines. 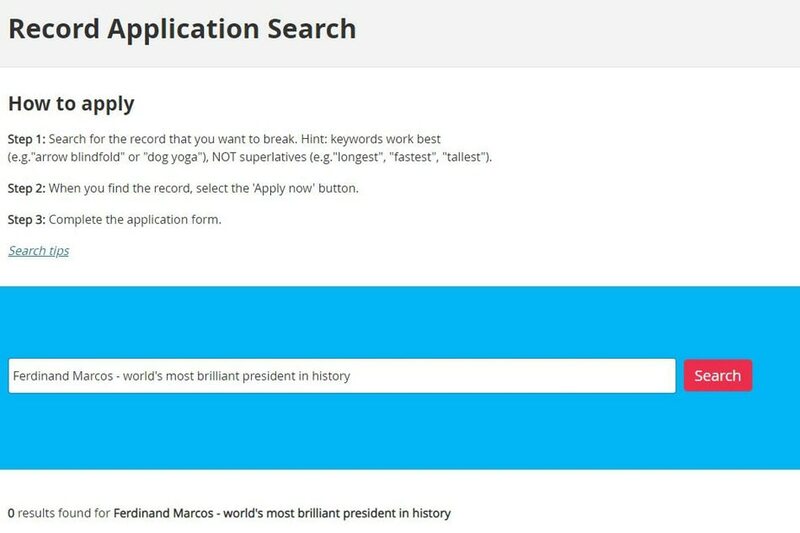 No accolade for "World's Most Brilliant President" exists for Marcos on the Guinness World Records site. AFP has an account for the site and can access the whole list of its records.